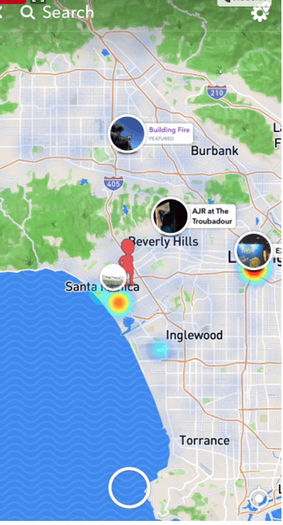 Last week Snapchat introduced a new feature, the ‘Snap Map’. location based map allows users to see where in the country their Snapchat contacts are, as well as seeing location based photos and videos. The Snap Map shows a user’s Bitmoji, their cartoon avatar within Snapchat, pinpointed on a world map. Users can then zoom into the map to see the exact location of their friends.